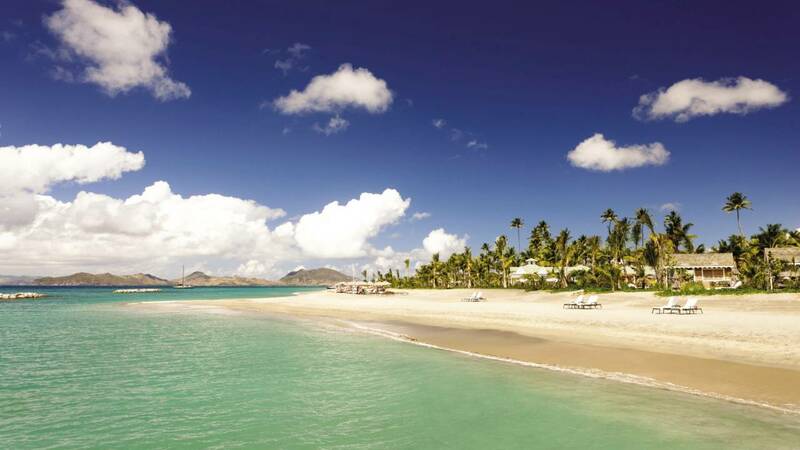 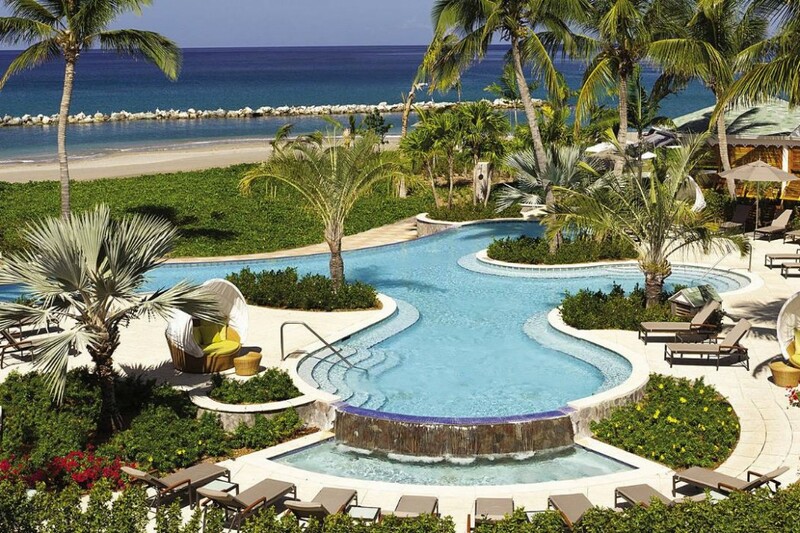 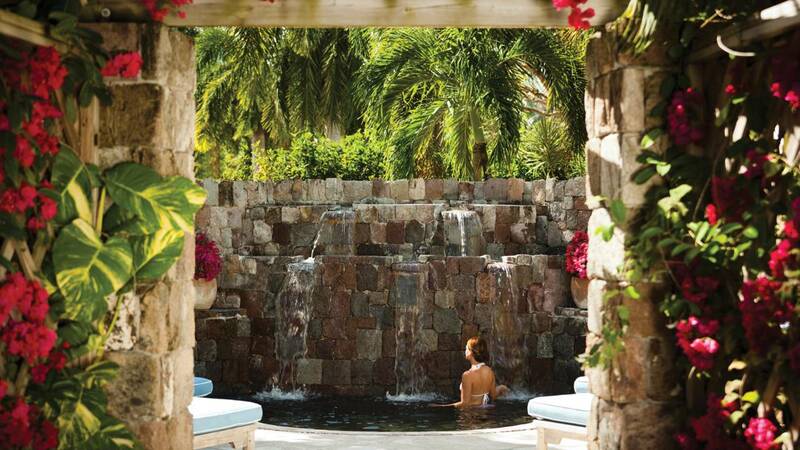 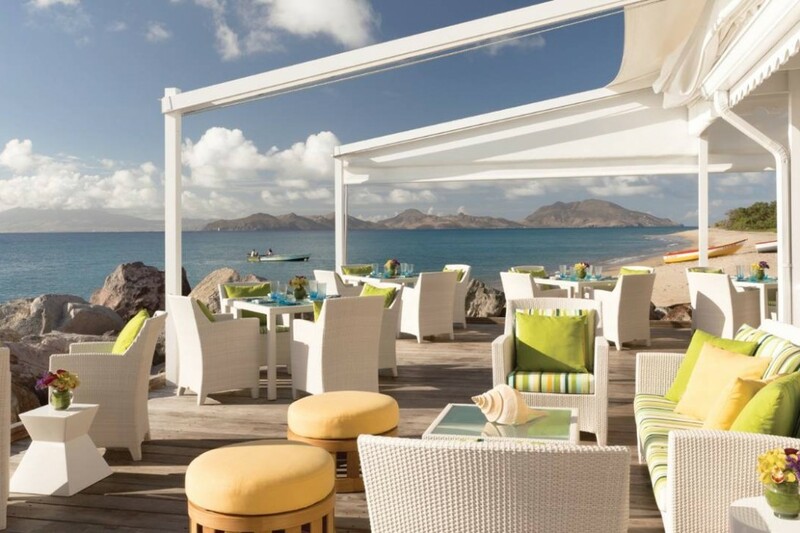 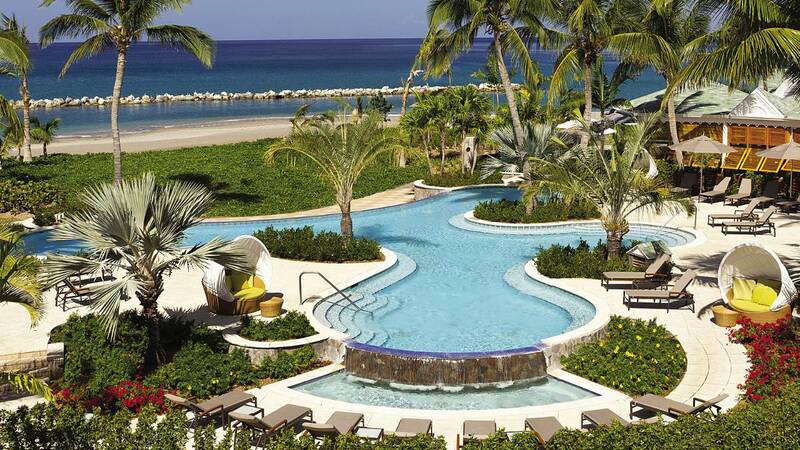 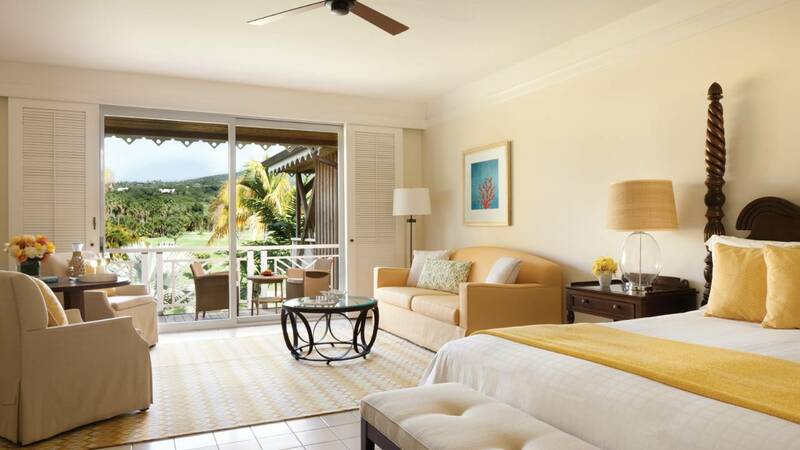 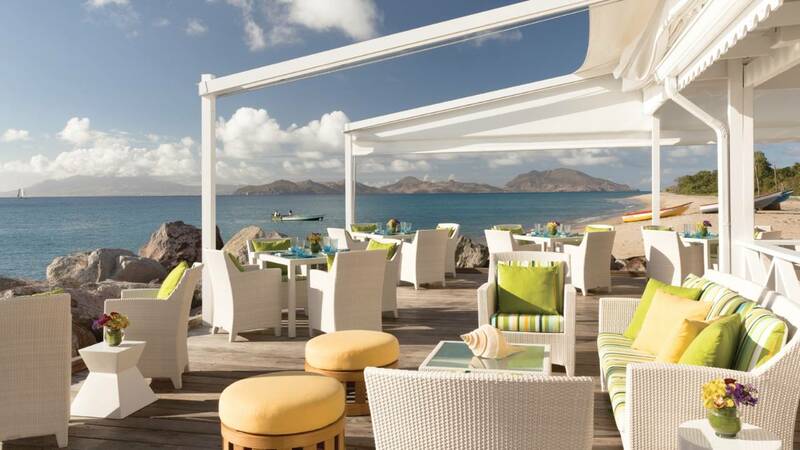 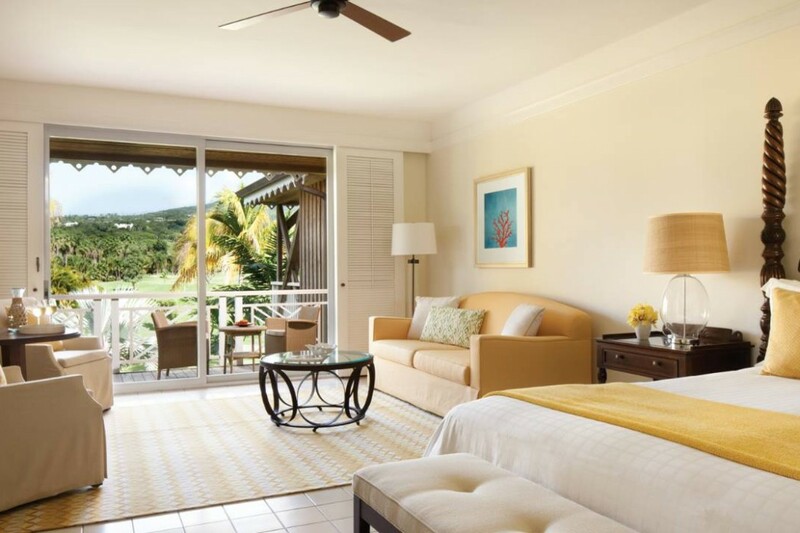 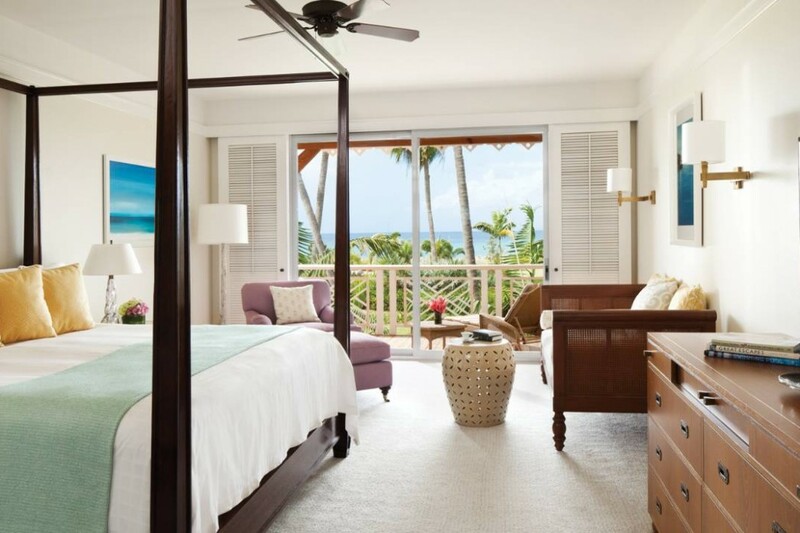 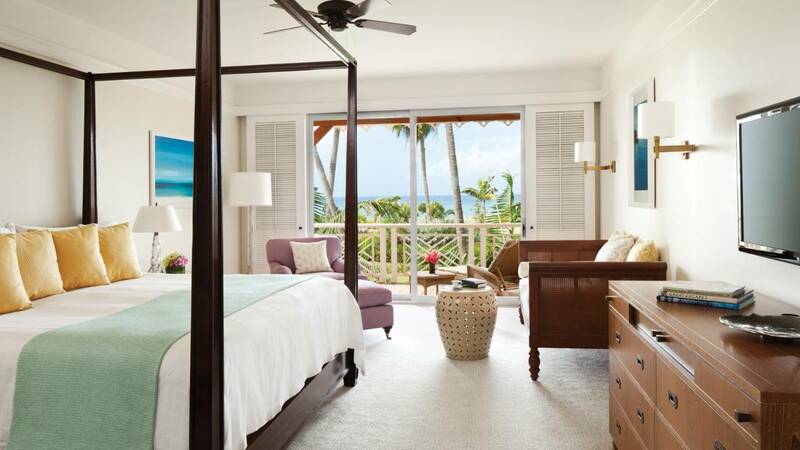 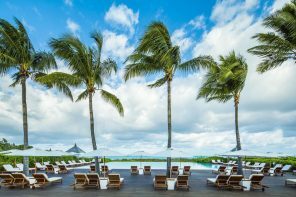 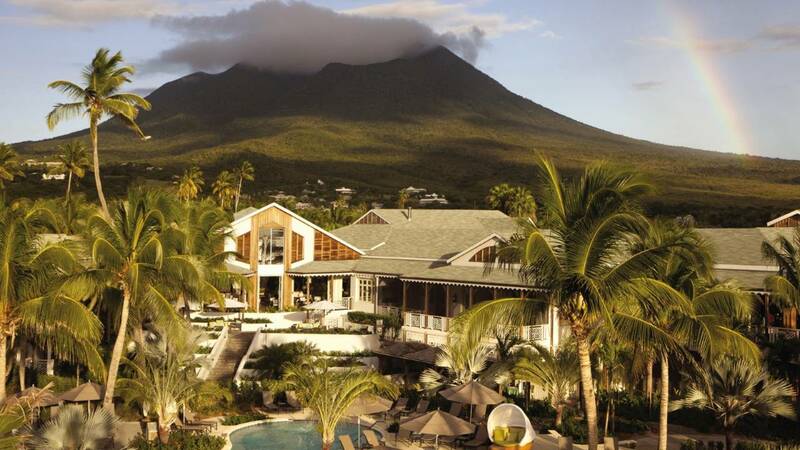 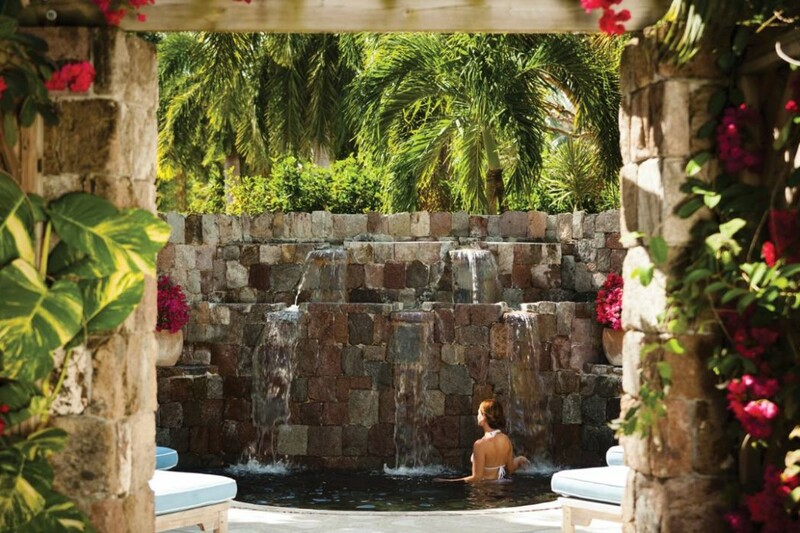 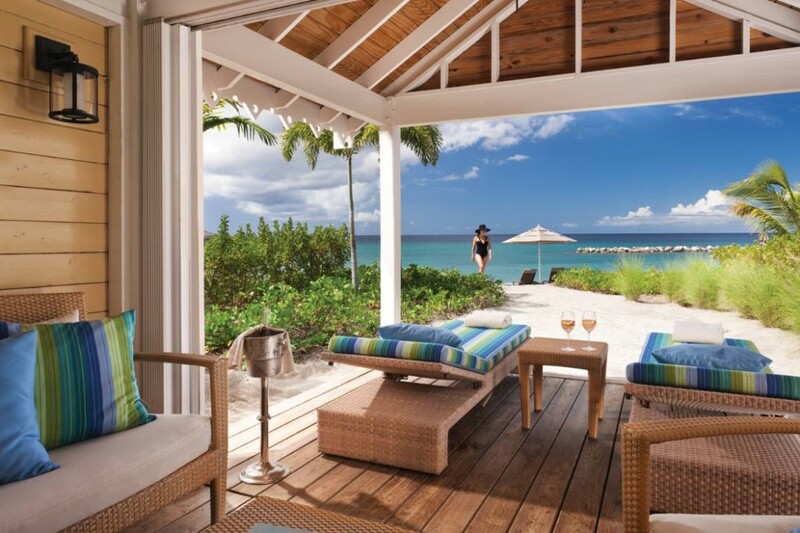 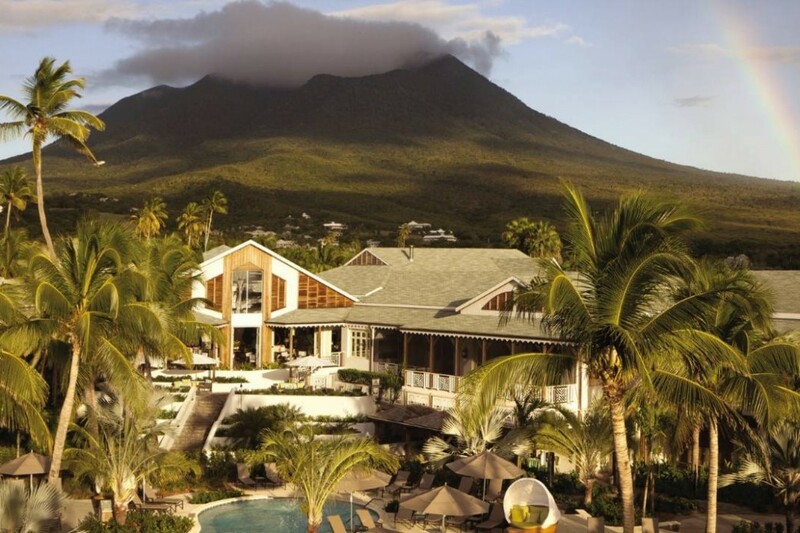 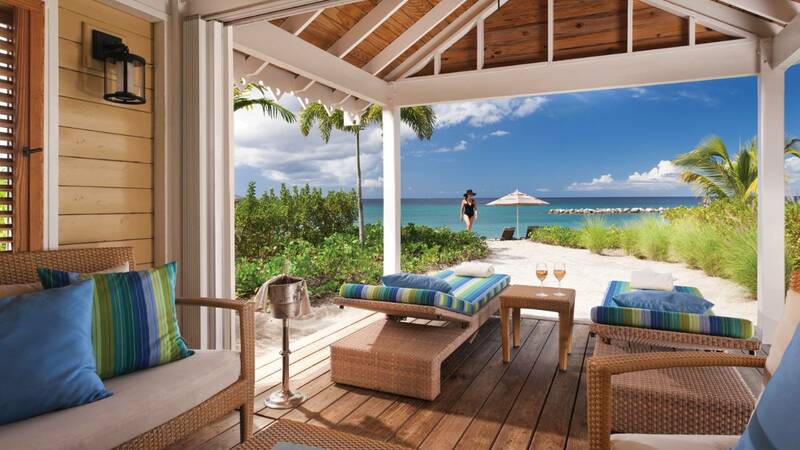 The Four Seasons Resort Nevis, a tropical oasis located lifetimes away from the hustle and bustle of the Caribbean—flush with sugar-soft beaches and sweeping vistas of rainforest, discover equal parts serenity and tropical adventure around every bend. 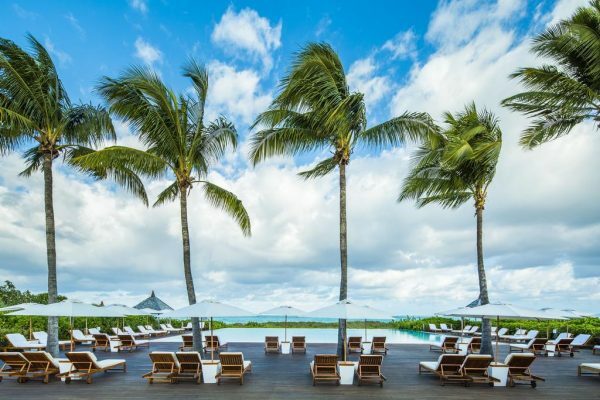 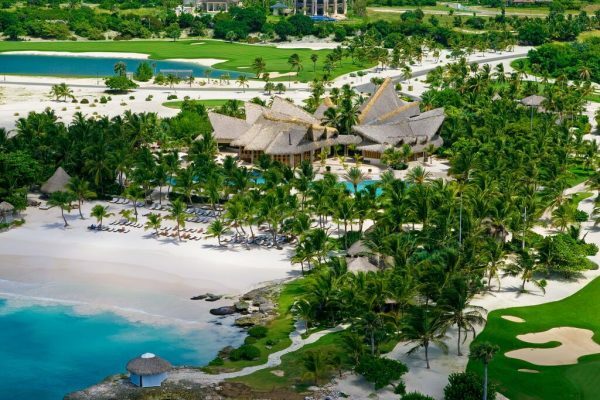 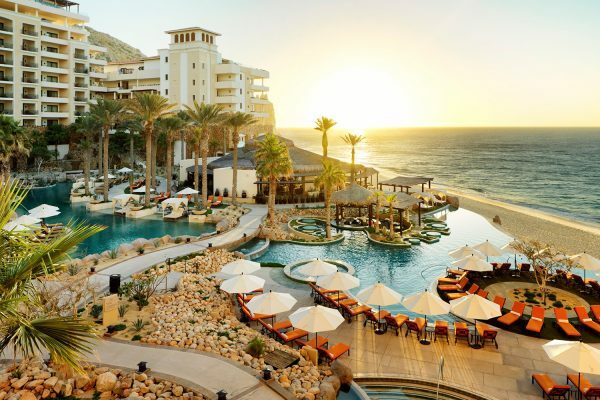 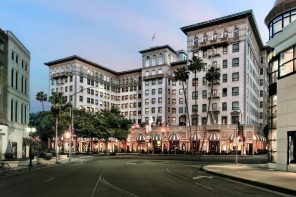 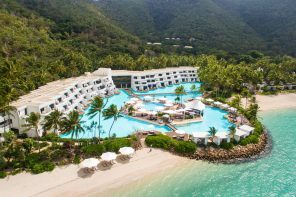 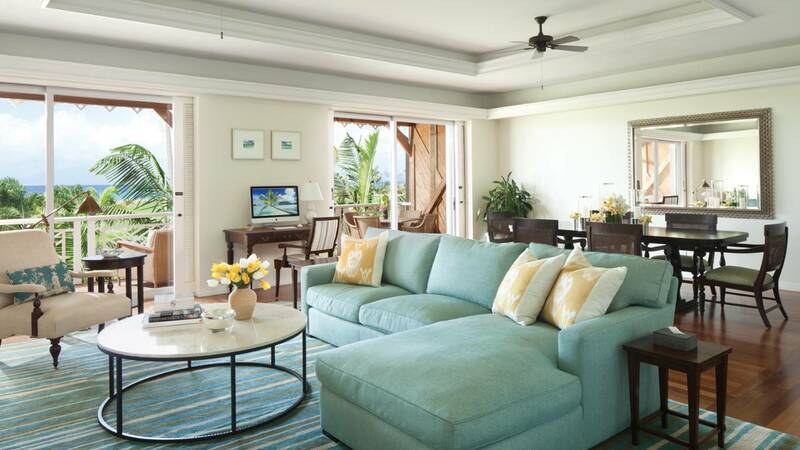 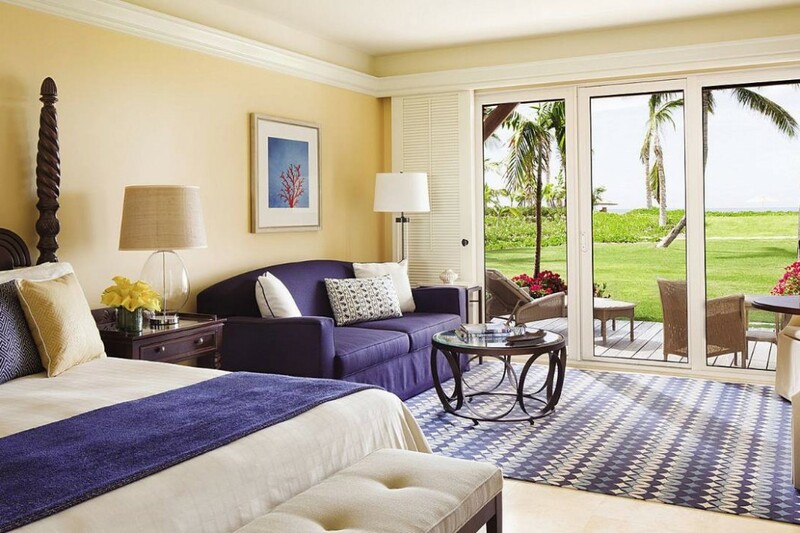 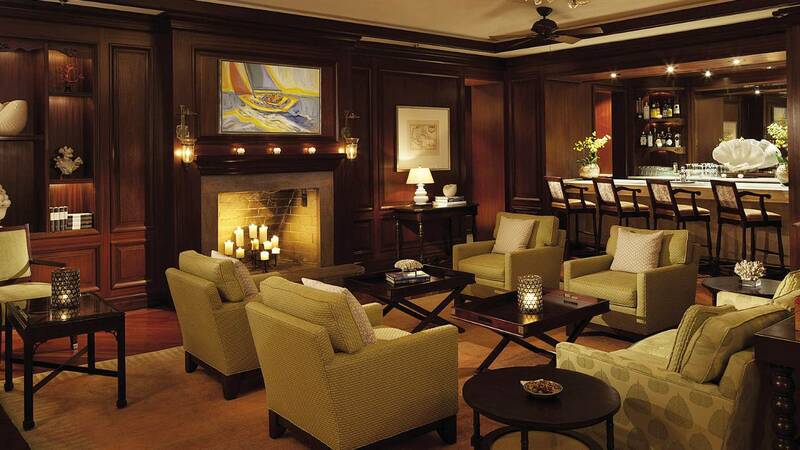 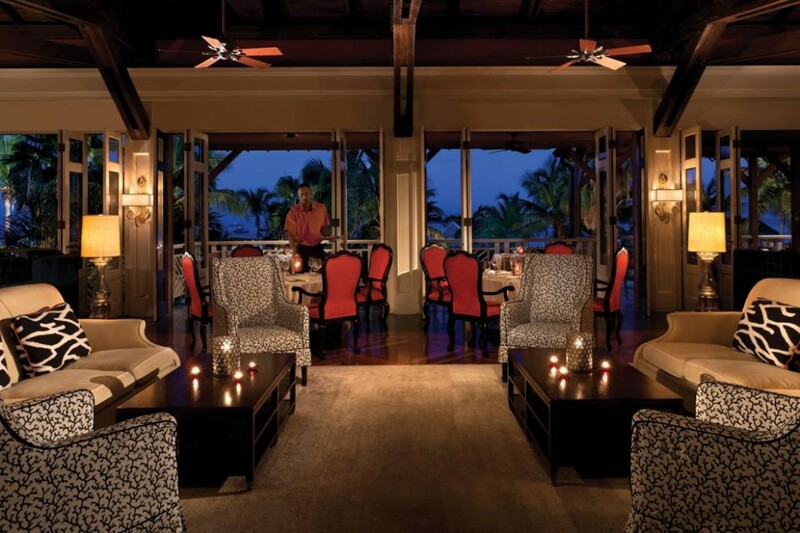 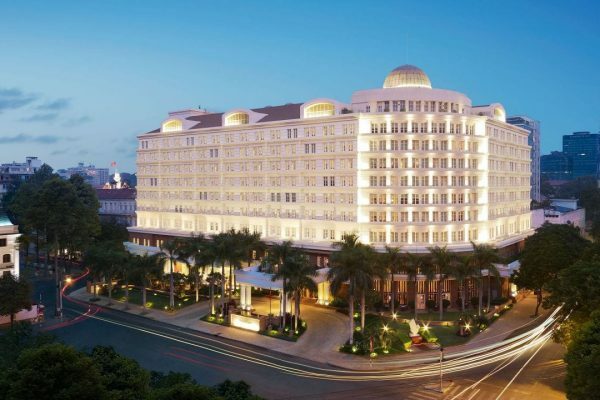 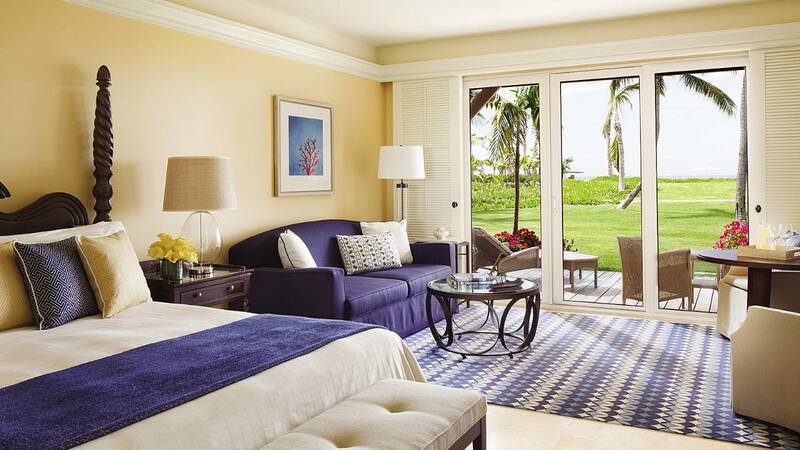 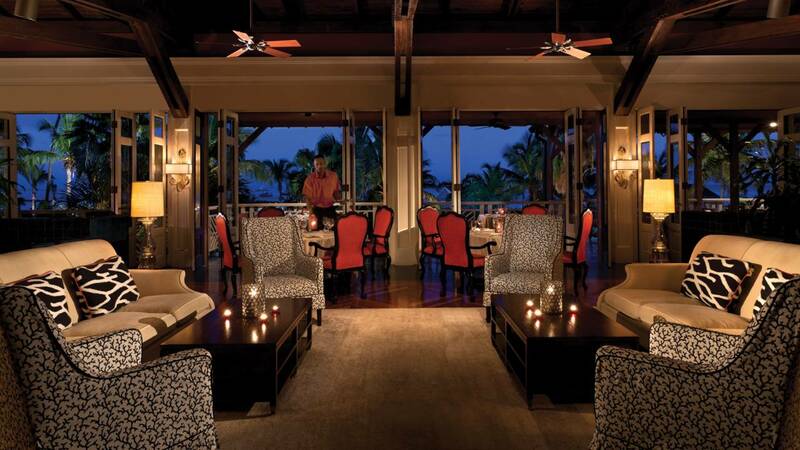 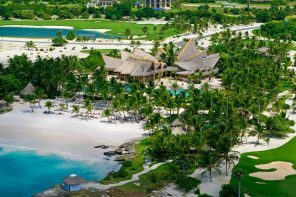 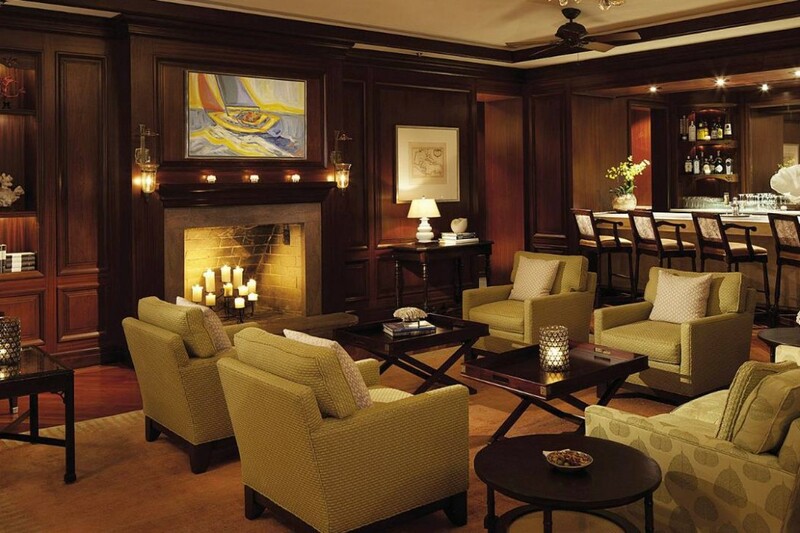 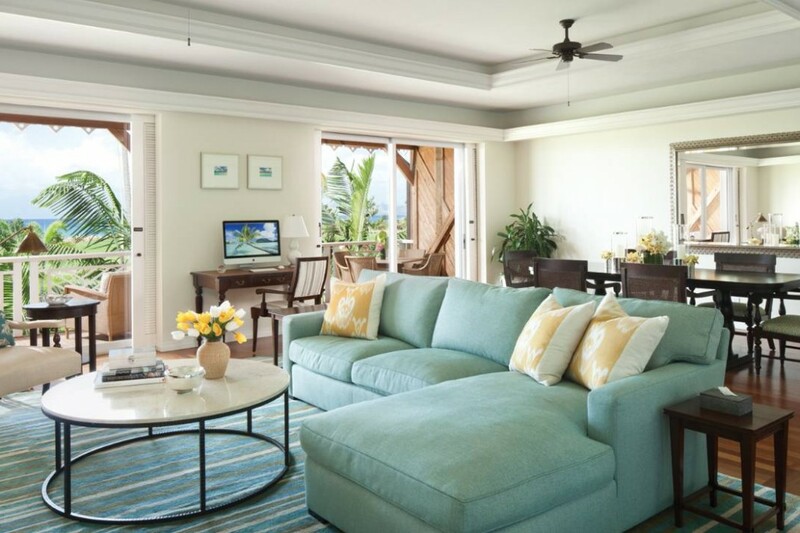 This five diamond hotel has 196 deluxe rooms and 44 beautiful villas either with views of the ocean or the 18-hole championship golf course designed by Robert Trent Jones II. 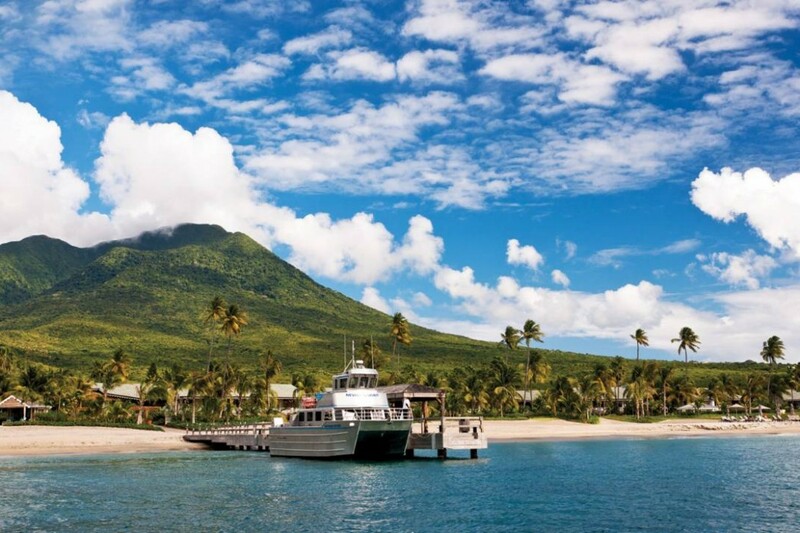 Nevis is tiny island in the Federation of Saint Kitts and Nevis, separated from St. Kitts by just a two-mile stretch of sea. 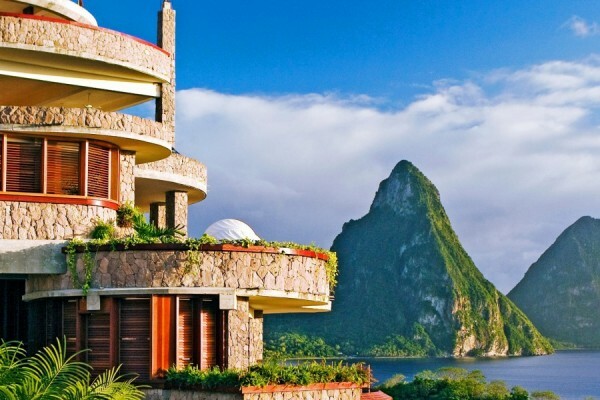 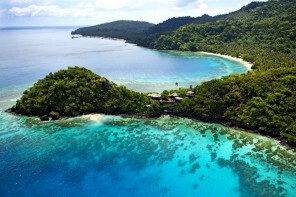 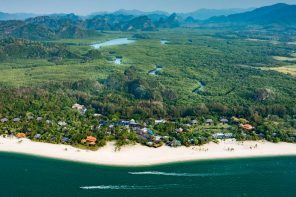 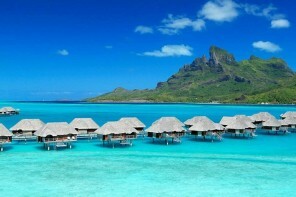 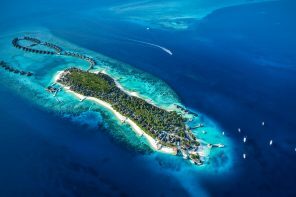 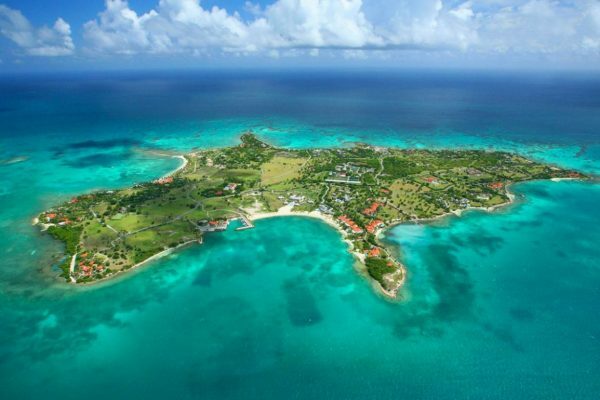 It features beautiful waters, friendly people, and lush rainforests. 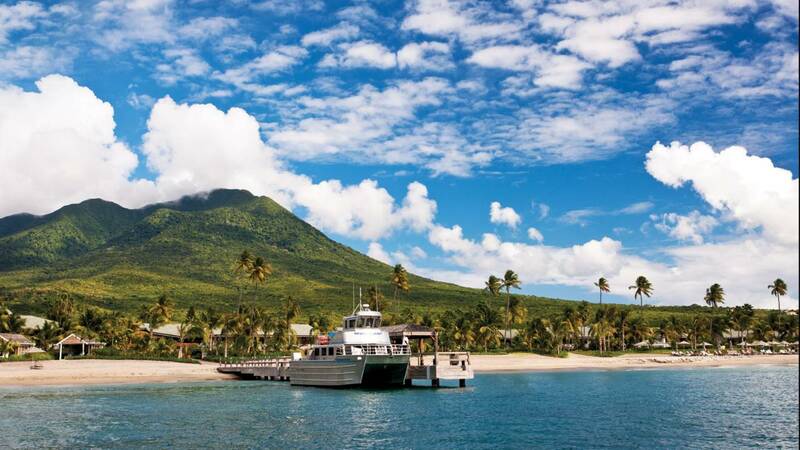 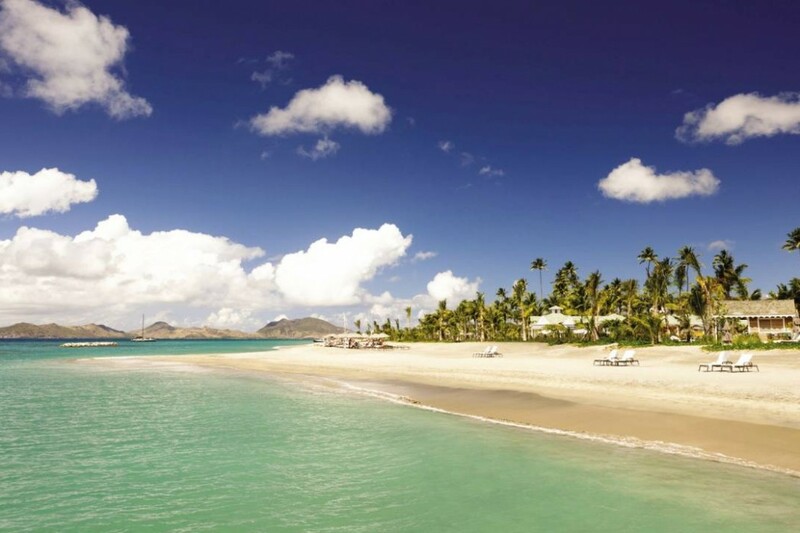 Less developed than St. Kitts, Nevis is often a popular choice among those seeking a quiet, relaxing vacation. 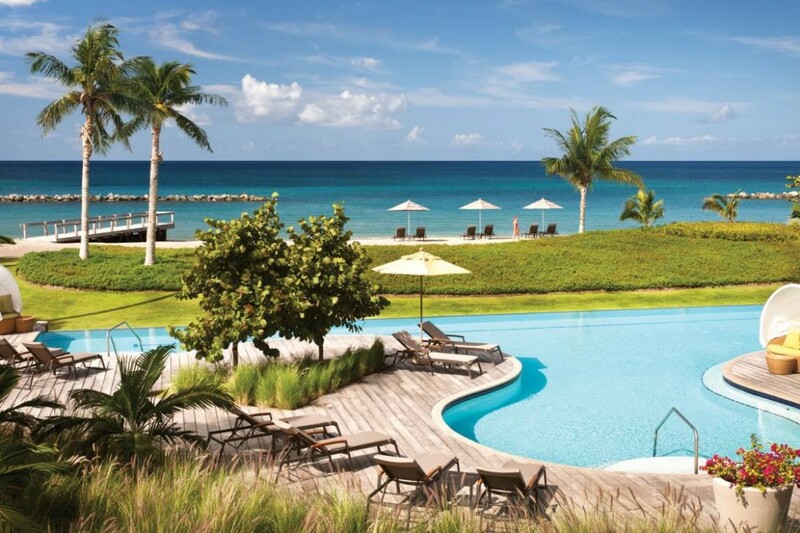 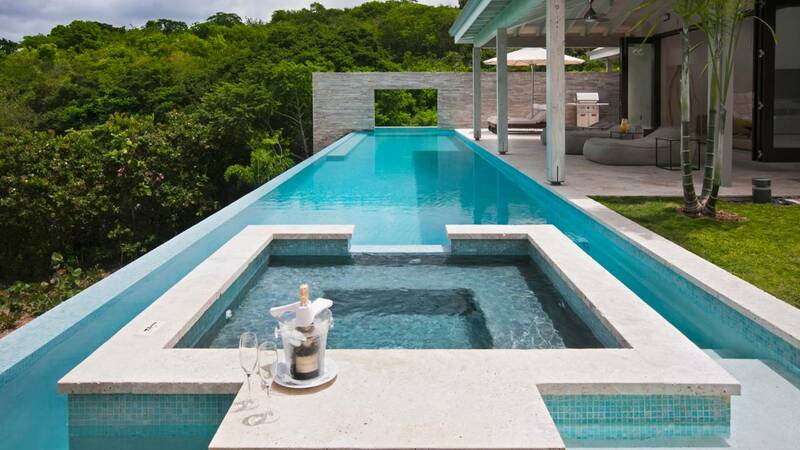 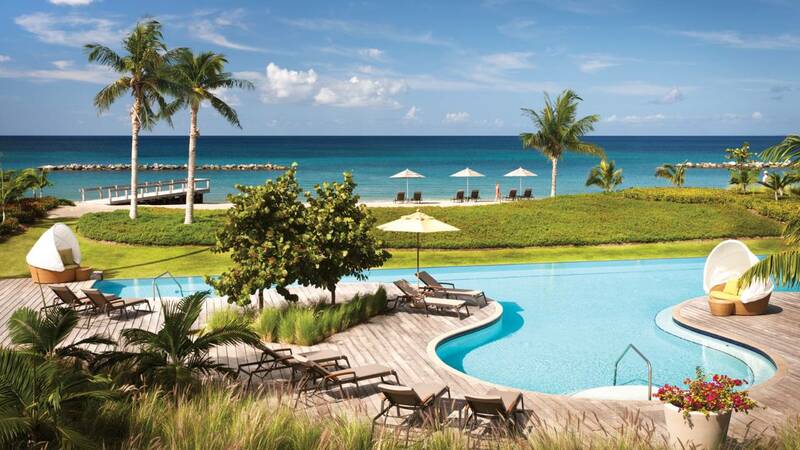 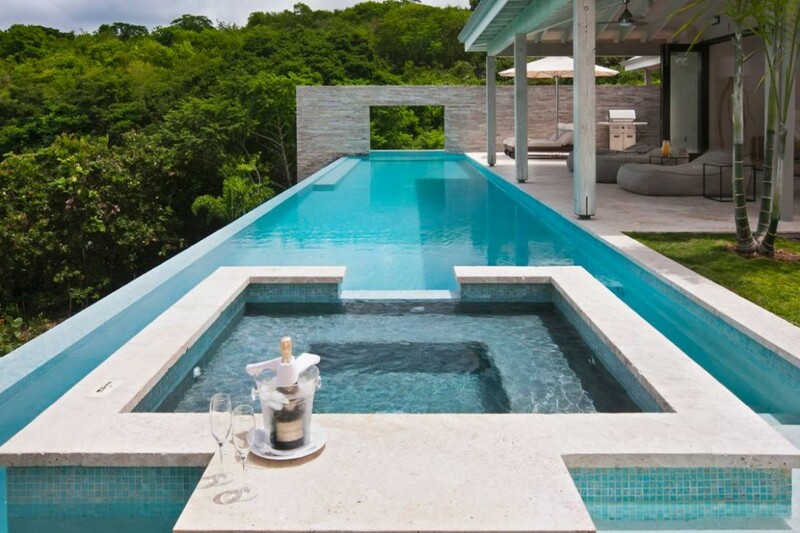 Take a dip in one of the three infinity-edge pools and then sun yourself in a quiet alcove. 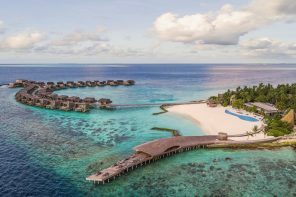 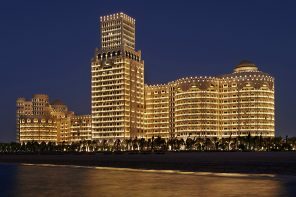 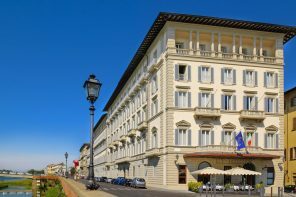 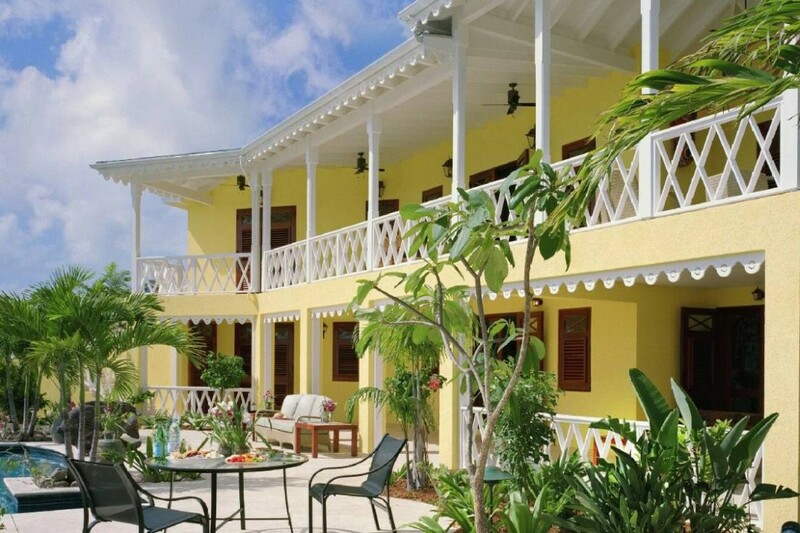 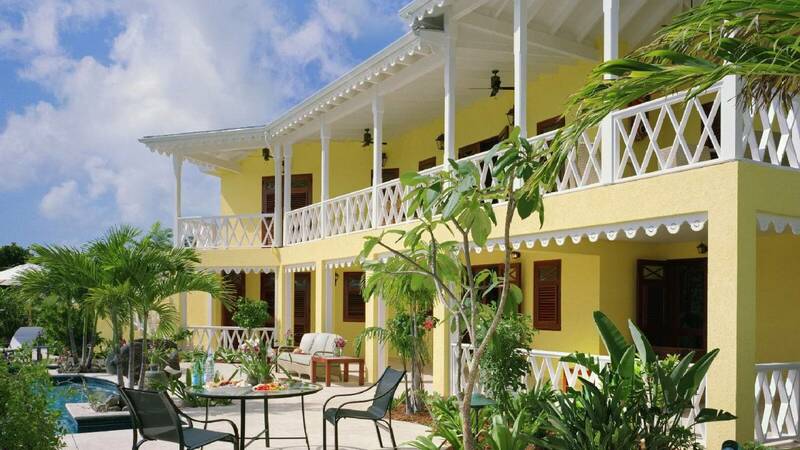 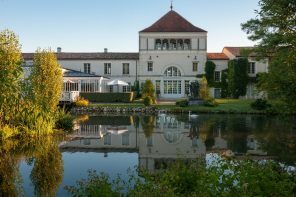 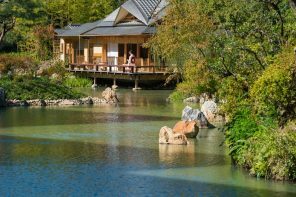 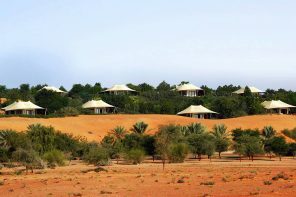 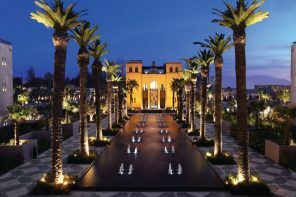 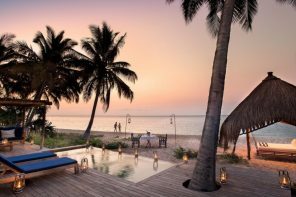 Perhaps some pampering is in order at the 12-room spa which offers rejuvenating massages, facials and Ayurvedic treatments. 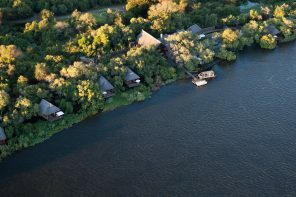 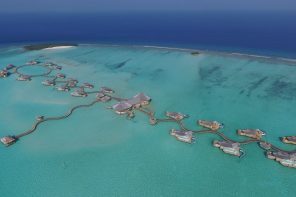 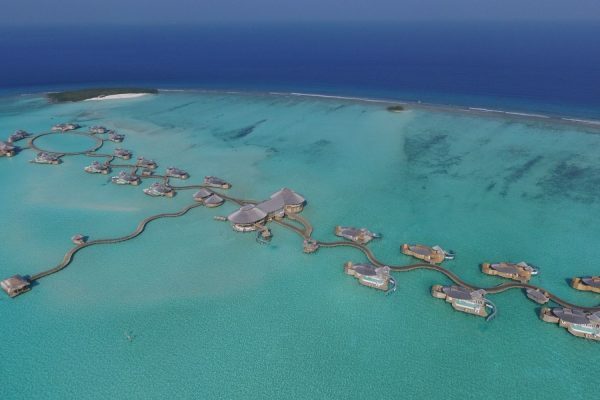 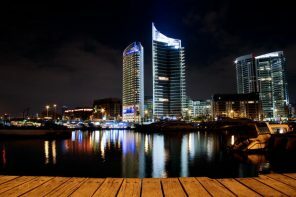 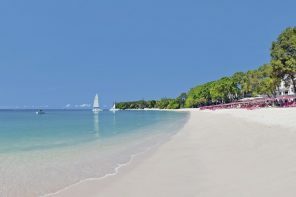 The on-site water sports centre includes snorkelling, scuba diving, stand up water paddling and a laser sailing school. 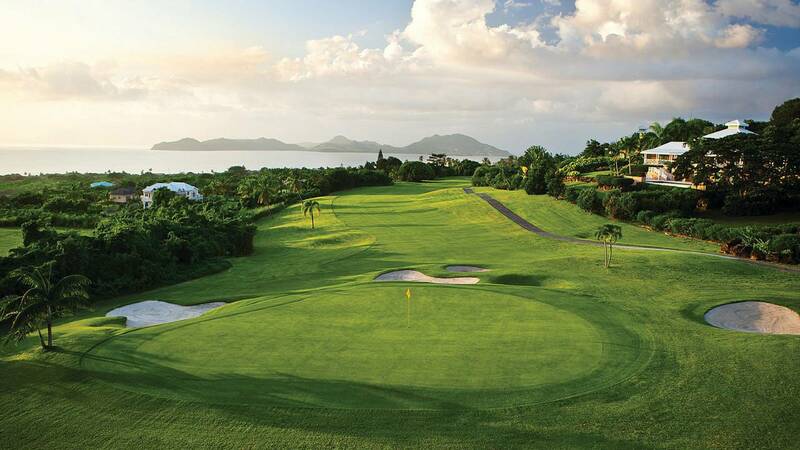 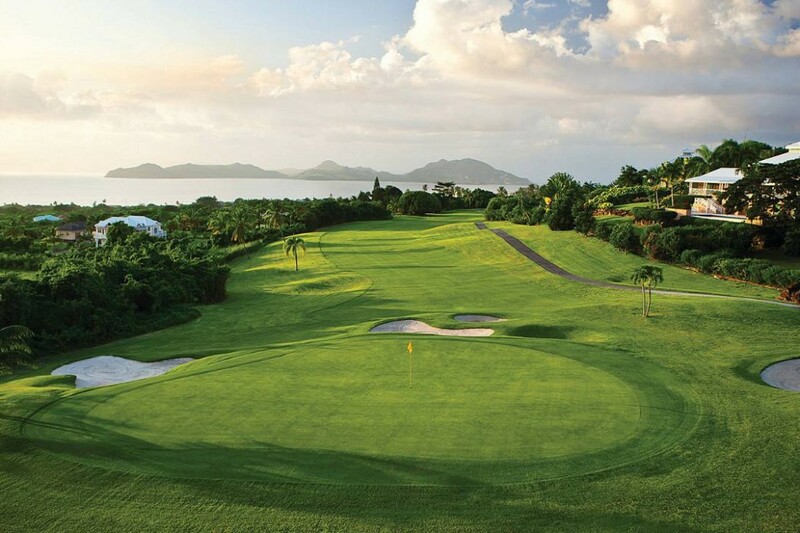 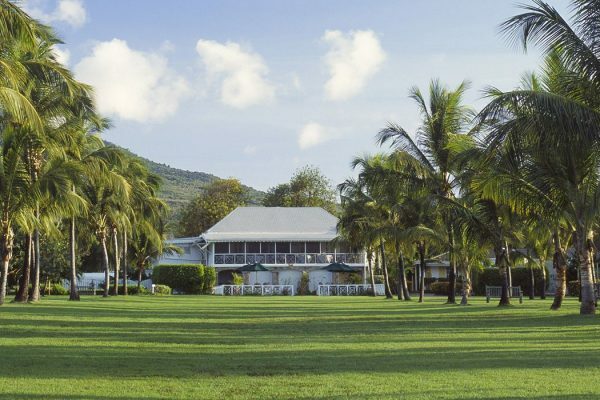 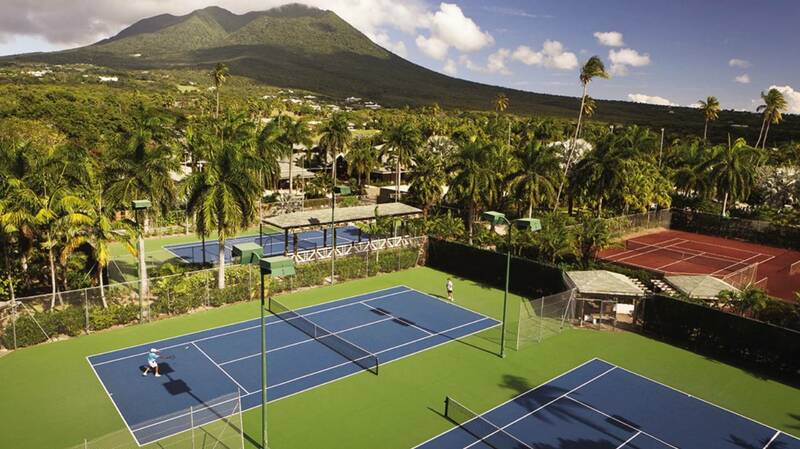 The resort also hosts a new experience that showcases Nevis culture including the island’s famous Coconut Tree Climber, Ecobio golf and Manza’s organic farm tour. 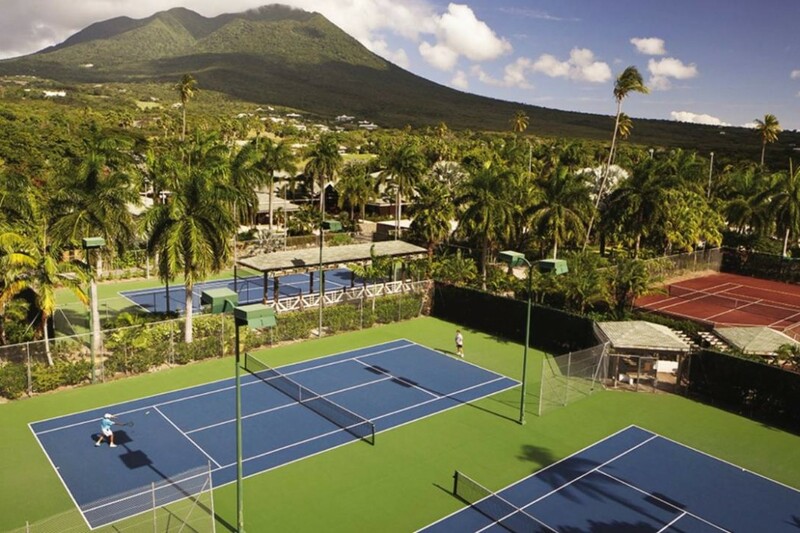 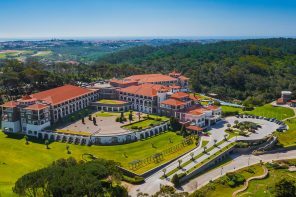 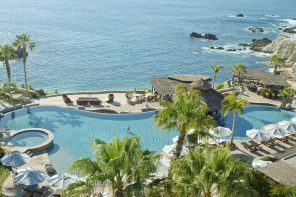 Other facilities are: 18-hole championship golf course, 10 tennis courts, three swimming pools, full beach and pool service, 24-hour room service, complete activities program, complimentary Kids for All Seasons (Ages 3 – 9), 24-Hour fitness facility, walking and jogging trails.